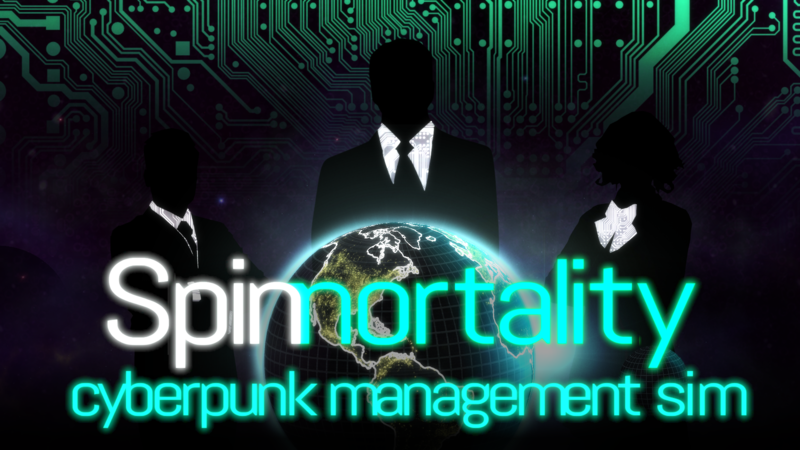 Hi Spinnortality players, I just wanted to let you know that every game-breaking bug that's come to light since launch should now be fixed in the latest version, v06.02.2019. There's still a long list of other bugs, as well and tweaks and features I'd like to implement, and I fully intend to get round to that. But anyone whose global corporate empire was halted by a mysterious inability to launch their products should be happier in the meantime. Note: this is only true for Mac and Windows players. Linux people are still on the original launch version, unfortunately, since I'm having difficulty getting access to a Linux machine to test on. This should be fixed soon, though, and I thought it wasn't fair to keep the fixes from everyone else in the meantime. Fixed silly floating mouseover when closing a short newspaper window. Made "changing laws" tutorial fail elegantly if it fails to find a corpornation. Music has more interesting tracks while reading notifications/events/newspapers. Right clicking the "-" button to fire all workers now fires queued workers first, rather than firing all of that type of worker. If you fire workers then click "Undo worker firing", the recalled workers will not be assigned a task, to avoid making them unavailable in the "assign research" panel. Law changes at 100% political influence should now always default to the maximum law change chance. It is now impossible for laws to remain at -1, and if they do they will be quickly reset. The AI and Climate crises require fewer connections to complete.